The European Commission’s Circular Economy package is a balanced and achievable proposal but what now counts are the steps taken by the European Parliament and Council of Ministers to ensure a global mindset, effective enforcement, and strong recycling ambition, write Maarten Labberton and Magdalena Garczynska. Maarten Labberton is the Director of the Packaging Group and Magdalena Garczynska is Recycling Director at European Aluminium. The Circular Economy package is a landmark step towards a more resource-efficient Europe. It will help the EU to maintain its status as a world leader in recycling and drive sustainable growth in the European economy to the benefit of future generations. What is important is what happens next. The European Parliament and the EU member states now have the responsibility to review the proposal and to make sure it is fit for purpose. Translating the Commission’s proposal into an efficient and achievable policy framework relies on a global mind set, strong recycling ambition balanced with consideration for national infrastructure and capability, and effective enforcement. Let’s start with the global perspective. About one million tonnes of aluminium scrap was exported in 2014, this is an economic waste making Europe even more reliant on imports. This could be avoided through greater investment in European collection and sorting infrastructure. Exporting scrap is like exporting the energy embedded in the metal. If we recycled this quantity here in Europe we would save the equivalent of the annual energy consumption of countries such as Latvia or Luxembourg. On top, European waste markets are facing unfair competition from recyclers in third countries who might not respect the required environmental conditions for the treatment and re-melting of aluminium scrap. We are very pleased that, in order to get official recognition in the EU statistics for scrap recycled outside Europe, scrap exporters will now have to prove that equivalent environmental standards as in the EU are applied. The European Commission’s clear and consistent recycling definitions are very encouraging. 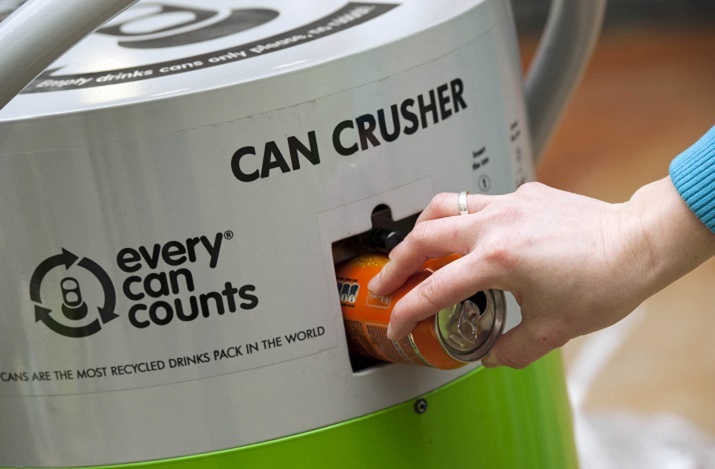 The proposal to move the point of measurement of recycling to after the sorting phase rather than at the collection phase will ensure that Member States report on real recycling results. In order to ensure that we make efficient use of existing and modern recovery facilities in neighbouring countries we should also encourage the free movement of waste recycling within the EU. Critical to this is the removal of the remaining internal market barriers. The new waste targets reflect that the Commission has recognised that some member states need extra time in order to catch-up with the best-in class. We are confident that the new split aluminium packaging recycling targets can be met, providing we can make use of all recovery options. Therefore, it is important that the new proposal refers to the additional recovery of metals from the incinerator bottom ashes, although this should remain a ‘second-best’ option after separate collection and sorting at source. Specific re-use and recycling targets are also needed for construction and demolition waste (CDW). So called ‘backfilling’ belongs to the linear economy and should not be considered as recycling. The proposal could have been more ambitious in this regard. With less than 10% of CDW being recycled today a specific re-use and recycling target is still missing and would help boost our progress towards a circular economy. Whilst we are disappointed to see that the Commission has not fully banned landfills, we recognise that the proposal to progressively phase out the landfilling of recyclable waste to a maximum of 10% marks an important step forwards. Member States must now be encouraged to invest in efficient collection and advanced sorting systems and separation technologies to ensure disposal of waste is minimised.